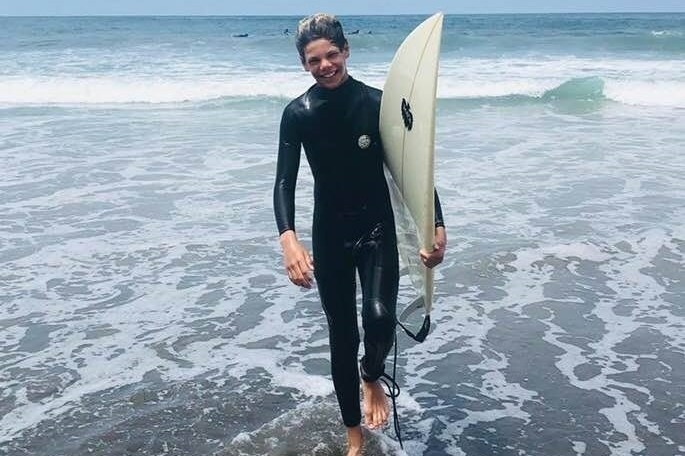 The morning of September 29th, Keane Hayes was attacked by a shark while catching lobster at Beacons beach in Encinitas. 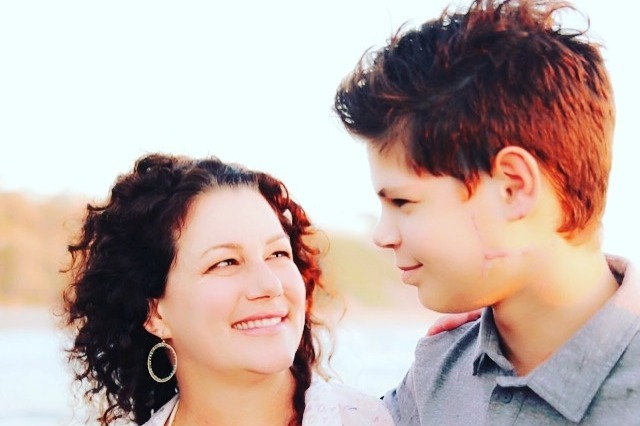 This page was created to help his family cover any medical bills. Thank you for looking. I am a close friend of both parents. My daughter is in the same class as Keane and they are good friends. Today marks 6 months since Keane was attacked by an 11ft Great White Shark. It’s hard to summarize what the past 6 months have been like. Every emotion you can imagine has been felt by me and my family. Love, happiness, joy, appreciation, fear, grief, anger, sadness, disgust, surprise, trust, anticipation, calmness, courage, shame, envy, pity, overwhelmed, terror and more love love love. It certainly has been a journey. I think often of ways to thank all the people that have helped out family through this even but there are so many people and so many ways we have been helped. My best answer to this quandary is to vow to pay it forward. I’ve thought often about people less fortunate without a community like we have and how horribly hard something like this would be on them and their family, as this was/is the hardest thing we’ve ever been through. If I can help just one person, pay it forward on a continual basis, commit to be a beacon of hope and help for others my hope is that you will feel the gratitude that I feel. Our journey is still not over. Keane is coming along, working very hard to overcome this hic-cup. He has regained a good amount of his motion in his left arm. He is working out and rebuilding his stamina. 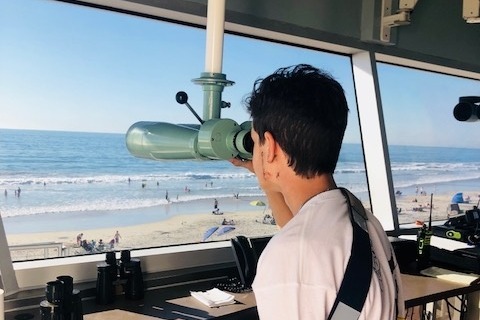 He has his eye on the prize to get out surfing before summer break. 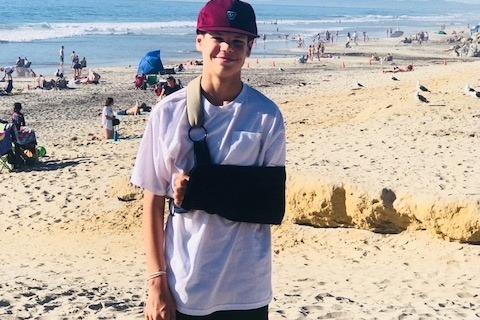 We are forever grateful to Nakoa Fitness and Jon Luu here in Carlsbad for taking Keane on for physical therapy, even though our insurance didn’t cover the cost. Without them Keane wouldn’t be as far along as he is. We are still buried in debt and the money we've received thus far has exceeded anything we could have ever imagined. It has helped tremendously with the helicopter bill ($51K), though we still have hospitals bills, Dr visits (4-8 visits a week), medication, therapists for Keane, myself and Aspen and just life expensive......it's never ending. Keane has learned a lot from this experience. His hope is to help others that have life changing events. He has a deep love for ocean and shark conservation. Stay tuned to see what he can do to help spread the word. He spoke at a Shark Symposium with the intent to hopefully help someone in the same situation someday. He is speaking at a middle school next month, to spread the word about not waiting for someone to save you…..save yourself. 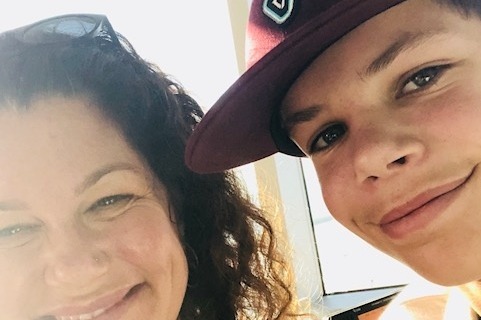 Keane is signed up to run the Rady’s 5k on 5/4/2019 here in San Diego. Reach out if you want to join Team Keane and run with him, or if you would like to donate to Rady’s Children’s Hospital. Keane is excited about high school next fall, excited to move onto the next chapter in his life. Baseball and sports are an unknown right now……but keep an eye out for him……he’s determined. For me, I’m working through the emotional issues that come with an experience like this. Trying to figure out how I can take my kiddos to the beach and be a normal mom as they play in the water. This entire thing was very tough on me, I will require a bit more to get to the end of this. This has also been tough on little Aspen. A 7-year-old perspective and processing is delicate. I continue to be dedicated to see her through this, to insure she can find her strength and be as brave as Keane. I’m dedicated to see us ALL through this. I hope this update finds you well. Please reach out if I can ever do anything for you! Gosh so much has happened it’s hard to think of where to start an update. We were privileged to have the Mayor of Encinitas present the 3 Hero’s with a proclamation. Included in the ceremony were a majority of the first responders that aided that day. It was an incredible experience to be surrounded by so many HEROS!! Each one of the choosing a career in saving lives and helping others. It was interesting to walk in and recognize their faces from the beach that day. I hugged the helicopter pilot, cried as the Fire Chief spoke and felt a sense of relief hear Keane knit together the story of that day. Thank you to the City of Encinitas, Encinitas Fire Department, Encinitas Lifeguard Department, Encinitas Paramedics, Encinitas Police Department, Encinitas Sherriff Department & Reach Air. The Mayor also recognized Keane for his bravery, quick wit and kindness. Keane is doing OK….all things considered. Every millimeter of movement is a HUGE win and puts a smile on both our faces. His bones are healed. The next step is to continue working at Nakoa Physical Therapy on his range of motion. Once he obtains his range of motion (of which we are uncertain what it will look like) he will begin working on building muscle. The Dr’s say he can regain the muscle that that darn shark ate . He has nerve damage in his face, we’ve gone to get a second opinion and are doing some more extensive test to see if it’s permanent or not. For now his cute crooked smile makes me smile. Keane is back at school partially. With all the Dr appointments it’s hard to get him there for full days. But PLC is very understanding and working with him. Keane has gone a little stir crazy. For a kiddo that is used to being VERY active it’s been an adjustment not to have that physical outlet. He’s been release by the Dr to do more which will help get past this whole incident and onto more of a normal life. He’s kicked his skateboard around a little bit, doing his stretching exercised and started swimming…..yes you read correctly swimming. He’s going to our local indoor pool and swimming as much as he can. He’s set goal on laps and breath holds……he is determined to overcome this incident. It really is amazing to watch him swim….I believe nothing will hold this guy back from achieving his dreams. For now things are still a little uneasy for the family. Ben has been very busy during the holiday season. I am still not at work, as Keane has too much care and dr appointments for me to be able to work. Aspen is hanging in there; she has signs of trauma that we are paying attention too. There is a lot of talks and questions about sharks. We seems to see sharks everywhere we go……..and if I wake up one more night to the TV on a Shark Vacuum infomercial….ugggg. We are very blessed and thank GOD every day that Keane is here with us. Processing through this trauma is overwhelming at times but the support you have given our family is precious. There is not a day that a random Mom or Dad hugs me. Our ocean loving community, FNL, PLC, San Elijo, BPA and so many more have lifted us up during this time. Here are a few updated photos and a video of him swimming. Sorry it's taken me so long to update everyone....our lives have taken so many twist and turns since September 29, 2018. First off we would THANK the first line of responders that helped save Keanes life: The 3 divers Chad Hammel, Mathew Ephron & Andrew Helble. 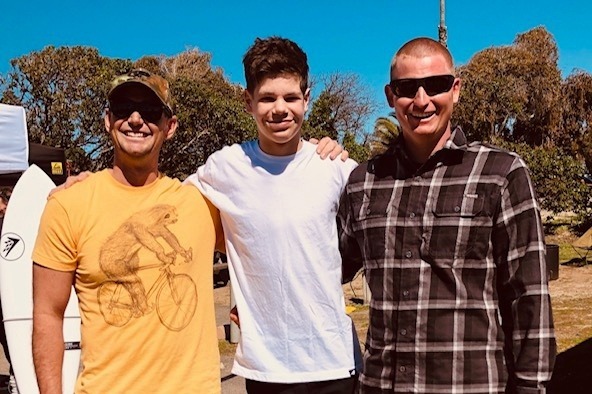 Billy Harris, the Encinitas Lifeguards, the Helicopter crew. 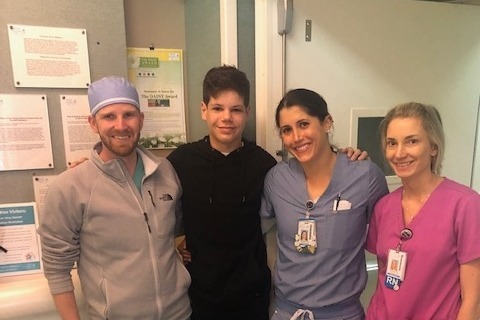 The Rady's Childrens Hospital trauma team, Dr.'s, PICU nurses, 3 East nurses & Justin Wright for having the forethought to start this GoFundMe page. Also huge hugs to my family, friends and community for all the support and love that has lifted us up during this time. Keane is doing well.....Well considering the circumstance he is in. He is ALIVE!!! He is not a victim, he is a SURVIVOR. Which is a miracle and I thank GOD everyday! Keane sustained substantial damage to his left torso and face. His humorous was broken, his ball joint broken in half, rotator cuff torn apart in several places, his scapula was broken in 3 places, he lost a significant amount of his deltoid and lat muscles. His muscles had to be reattached to his bones, his face had deep laceration that has left him with some nerve damage and his ear was sliced down the middle. Fortunately for him no major arteries or major nerves were damaged. Keane will need PT and OT for a long time. He is willing to do the work and I have faith that he will have a full recovery, but only time will tell. Whether he will be able to throw a ball or swing a golf club as he did prior is still to be determined. This GoFundMe is amazing. We had no idea the monitory challenges that we would face. Though we are rejoicing in his survival we are now burdened with hefty medical bills, the helicopter transport alone is $51,000, some of which will be covered by insurance but not all of it. In addition I've taken a leave from work. Keane requires intensive care from me changing bandages, applying medicine, administering meds, and transporting him to his various Dr appointments (PT, OT, Infectious Disease, Plastic surgeon, Orthopedic Surgeon, Trauma Surgeon, General Surgeon, General Doctor and Trauma Therapy) It's a lot!! We are currently unsure if he will need additional surgeries. Keane has been my strength in all of this. If it were up to me I'd be in fetal position in bed, but Keane's positive attitude, courage and wisdom is beyond mine. I am following his lead. We are having faith that there is a big plan for Keane that will allow him to use this experience to help others. Again, Thank you from the bottom of our hearts. Love and Light to All!! Here are a few pictures from the first day Keane and I went back to the beach. The Lifeguards at Moonlight Beach have been angels of support. Keane likes to talk to them and watch the ocean from the tower. We are very blessed.